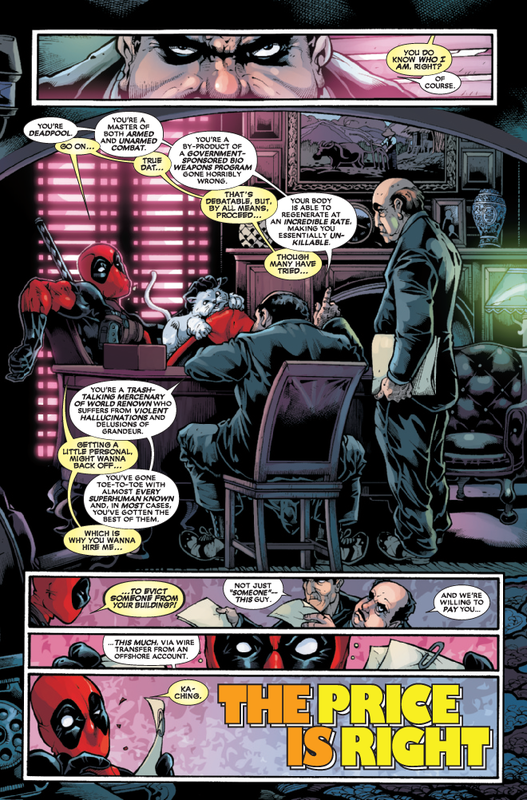 Marvel has provided the following preview of Deadpool #33.1, which comes out next week on 3/2/2011. START READING with this Point One issue. 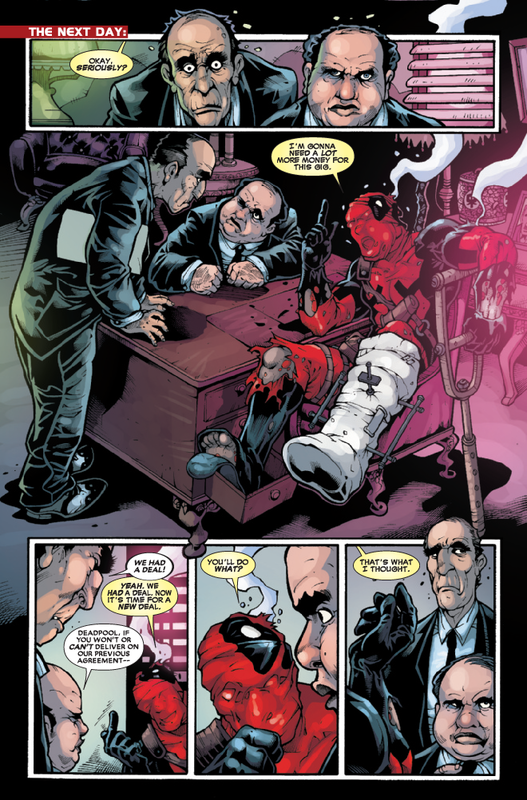 Deadpool has risen to prominence, thanks to the immense talent of Daniel Way. 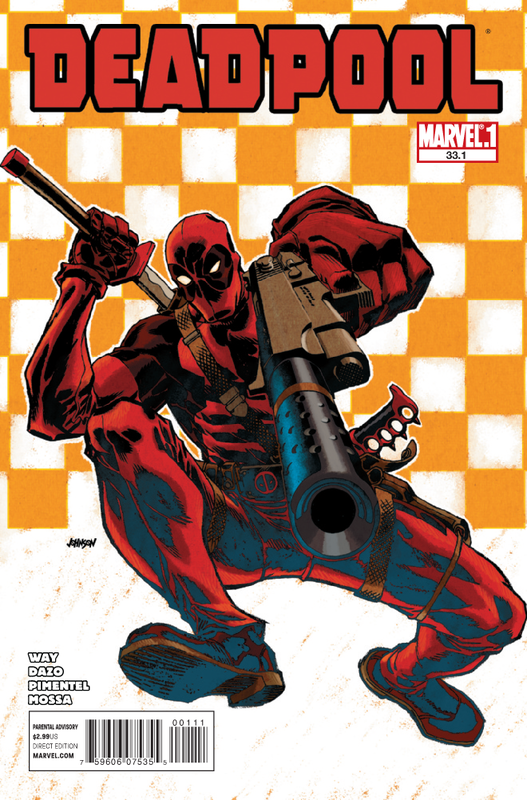 And if you haven’t been reading Deadpool, now is the time to delve into the Merc With A Mouth’s twisted world! 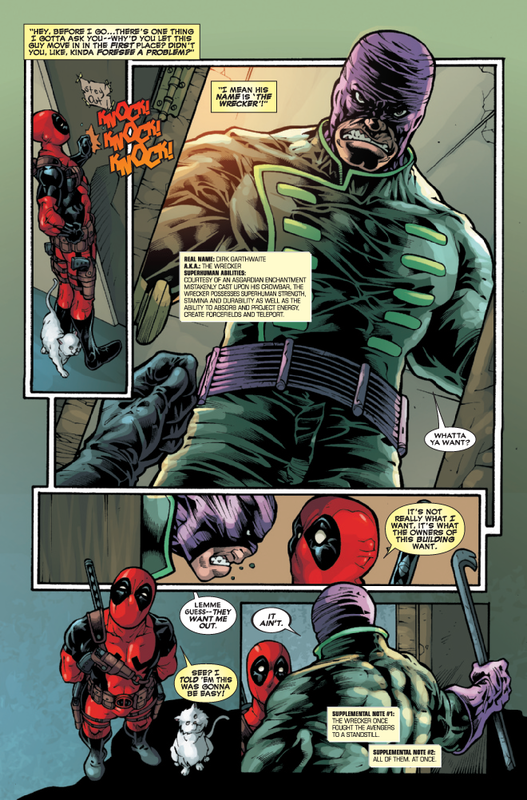 The Wrecker, an immensely powerful psychopath, is on the loose and wreaking havoc. 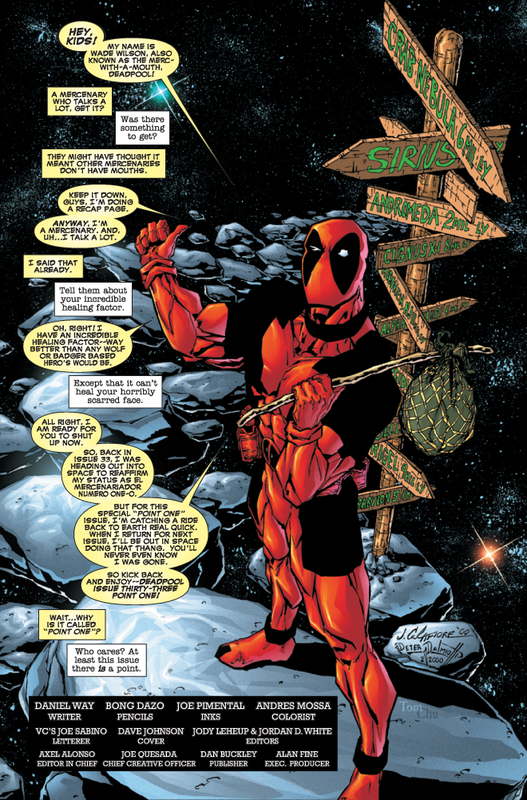 There’s only one person to call…Deadpool!